Today’s episode discusses the glue ear complications that can lead to permanent hearing loss. 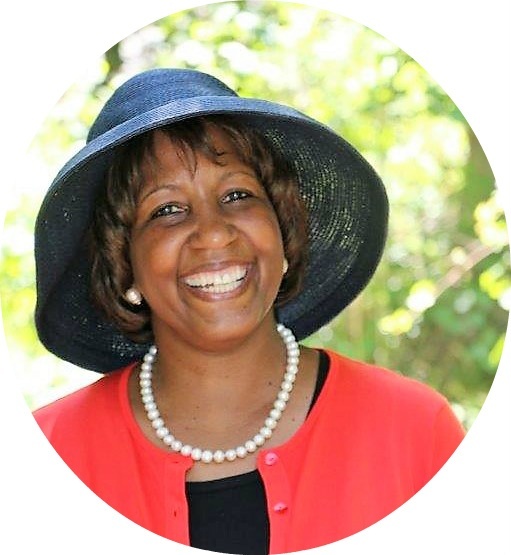 I have previously defined glue ear so that we can all be on the same page, and I also have discussed treatment and prevention options for glue ear. However, at this point, we need to understand why it is important to treat. Although glue ear is simply fluid trapped behind the eardrum, there is nothing simple about its potential complications. The summary below outlines my discussion but be sure to check out the audio where I delve deeper into explanations and descriptions. What are the most common glue ear complications? Glue ear is very different from acute ear infections; therefore, the complications from recurrent ear infections are also very different. An acute ear infection (otitis media) is a common complication of glue ear, and it develops when bacteria infect the fluid inside the middle ear. When there is fluid instead of air, it is harder for the eardrum to vibrate and carry the noise vibrations to the inner ear. I have already shared the different types of hearing loss. 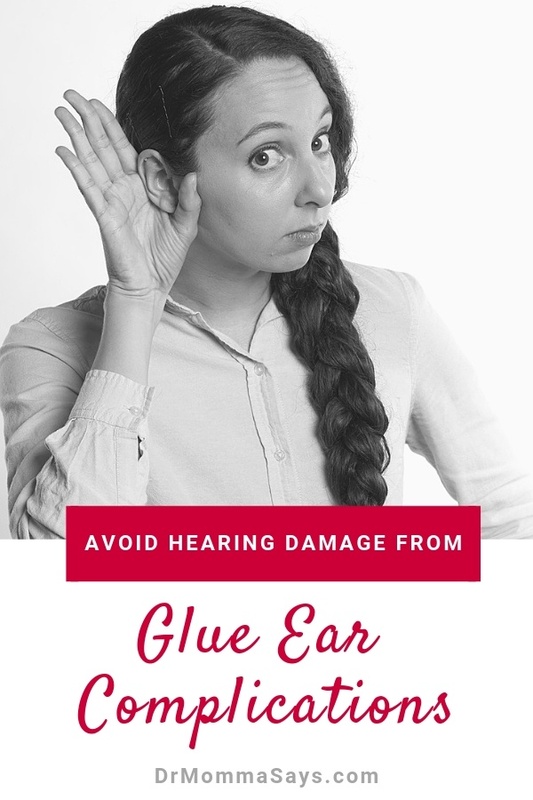 Glue ear usually leads to the conductive hearing loss type. 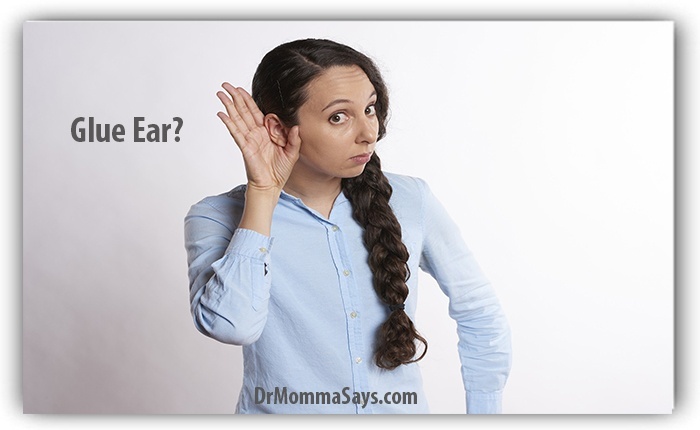 What are some less commonly known impacts of long term glue ear? Most people are aware of the importance of having normal hearing for our everyday lives. 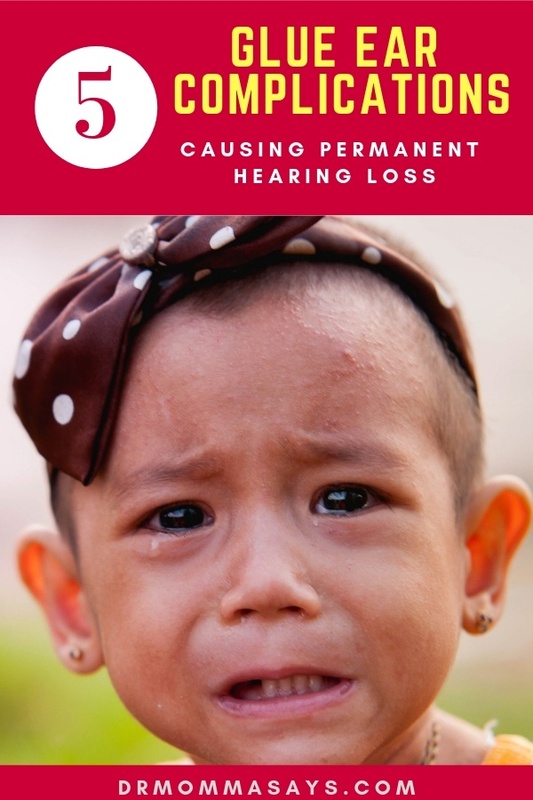 However, in kids, during their critical developmental years, hearing loss may lead to problems that are not as well known. This group of kids is often under-identified and under-treated. This could affect one sense, like hearing, touch, or taste. Or it may affect multiple senses. And people can be over- or under-responsive to the things they have difficulties with. Although many kids have these symptoms, there is a big debate about whether this represents a true medical disorder. This problem causes kids to be unable to process what they hear in the same way other kids do because their ears and brain don’t fully coordinate. When middle ear fluid remains present for a long time, there are chronic changes to the tissues in the middle ear. The fluid makes the surrounding tissues begin to swell which initially is reversible, consequently, over time, the swelling leads to chronic scarring and damage that requires extensive surgery to repair it and restore hearing. Often associated with ear tube placement because it can occur in 25% of cases; however, it occurs in a large number of people where it is not a complication of ear tubes. Usually, when limited only to the surface of the eardrum, there is only a small amount of hearing loss associated with this problem. If severe, a large part of the eardrum becomes scarred and hearing loss may be significant. The classic eardrum perforation occurs with an acute ear infection, where trapped pus bursts through the eardrum. This is not the perforation I am talking about. When untreated glue ear persists, the progressively thicker fluid takes up less space in the middle ear, and the eardrum is pulled inward. This stage is called eardrum retraction. The constant pull of the eardrum may cause it to thin out and makes it more susceptible to a perforation that does not heal. This is a more extensive or severe form of eardrum retraction. As glue ear continues to be present, more advanced retraction occurs and varying amounts of the eardrum are pulled into the middle ear. There are dangers from the eardrum being pulled into the middle ear, including a complication called cholesteatoma. Sometimes, such a large amount of eardrum is pulled inward that it looks like an eardrum perforation. Check out this video which shows how the eardrum may look like it is perforated but instead, it has atelectasis. 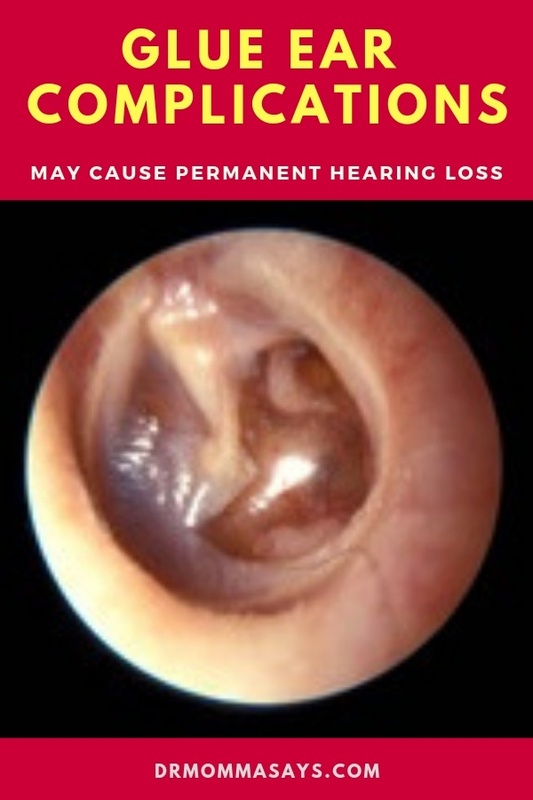 When retraction or atelectasis occur for a long time, the eardrum begins to irritate the lining of the middle ear, and scar bands form to attach the tissues together. At this stage, the eardrum no longer has the ability to move to its normal position, even if the eustachian functioning is improved or if an ear tube is inserted. An ear tube cannot reverse this chronic change to the eardrum. 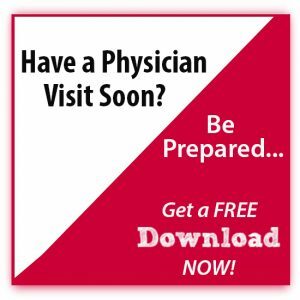 Severe cases require the eardrum to be reconstructed. As the negative pressure in the middle continues to pull the eardrum inward, skin cells may become trapped which leads to the formation of a cholesteatoma. So be sure to check out the next post where you will learn how to treat and prevent glue ear. Because nobody wants the complications I just described! What the HECK is Glue Ear?